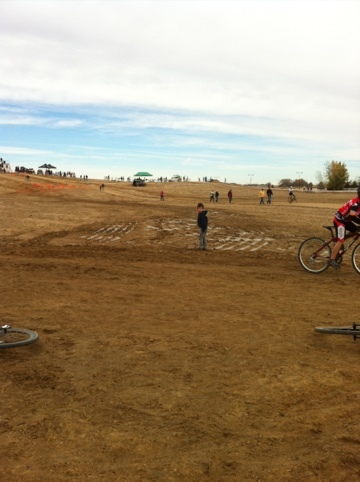 Today was the first cyclocross race of the season where Jack didn’t complain at all. I think it may have to do with the “dirt that felt like peanut butter” that was everywhere. This entry was posted in biking on November 3, 2012 by metamegan.